So, yesterday, we took a family trip to Walmart. We don’t go there very often, partially cause of how busy it always seems to be but mostly because of the people that shop and work there. Really — you might think websites like “People of Walmart” are a gross exaggeration of reality for comedic sake but, I’ll tell you, there truly is no other demographic like the Walmart shopper. Stereotypes exist because they are grounded in truth. Walmart takes it to another level. 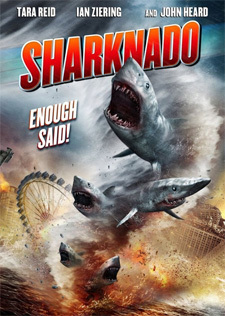 So, anyway, while I was digging through the $5 DVD bin with Duncan in search of Sharknado (don’t judge — where else would I find it?) an announcement comes over the loud speaker. Yes, it really started like that, but not all cool like it would have sounded at K-Mart. Imagine it in the voice of a barely literate 20-something male hillbilly lacking front teeth. Yeah — somehow Walmart brings out the hillbillies of Connecticut. Really, there was a shopper in there wearing a cowboy hat. In CONNECTICUT!? First of all, a quick visual survey of the people surrounding me made it pretty unsettling that they we’re about to hand out “razor” sharp knives. There might even be a stampede — the word “FREE” in Walmart is almost like “FIRE” in a movie theatre. Further — they’re doing it in the baby aisle? I don’t know about your local Walmart, but in all of them around here, the “baby” section is in the back corner. The “kitchenware” aisle is usually part of that middle section where lots of just random household stuff is. In short — they’re not close to each other. Why would *ever* you hand out knives to the gutter of society in an aisle full of diapers? Hmmmm… must’ve been a report of someone wielding a “razor” sharp knife or something.